NASCAR’s West Coast Swing wrapped up Sunday in California for the Auto Club 400. The 200-lap race is difficult on the cars and drivers as the weathered, bumpy track eats up tires and gives drivers a rough ride on race day. 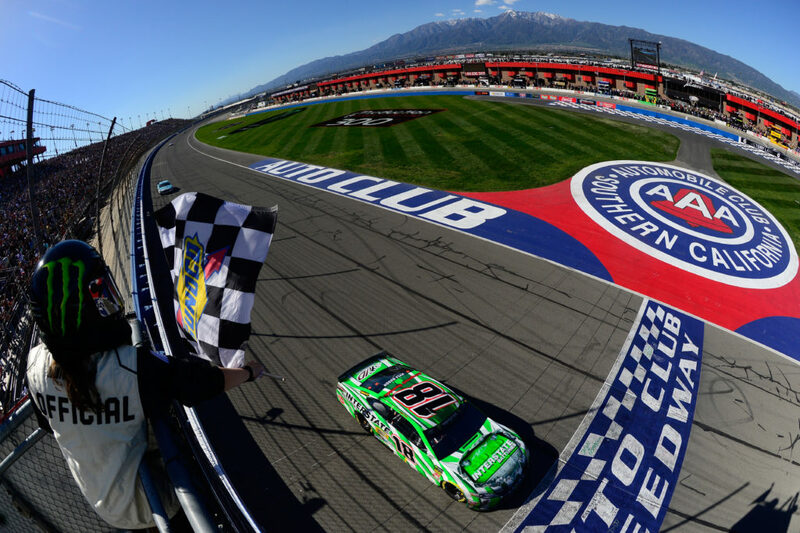 Coming off his win at ISM Raceway, Kyle Busch was still hot on Sunday afternoon under sunny skies at Auto Club Speedway. When Harvick came to Auto Club Speedway last year, he was riding a three-race winning streak and trying to join the elite four-in-a-row club. But Harvick’s bid to win at the two-mile track didn’t survive the first stage of the Monster Energy NASCAR Cup Series race. Harvick was racing for position against Kyle Larson on lap 38 when the two cars collided near the exit from turn two.